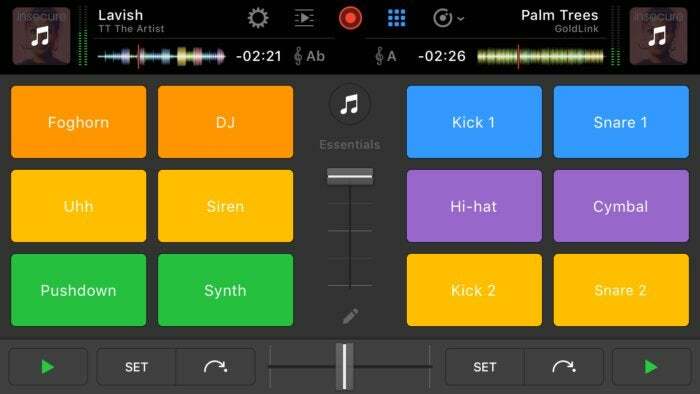 Scratch, scrub, and cross-fade with this new iOS app for pro-sumer DJs. Algoriddim has spent the last decade making award-winning, best-selling DJ apps for iOS and Mac. This year, that tradition continues with the launch of Djay Pro for iPhone ($4.99 for a limited time on iTunes). 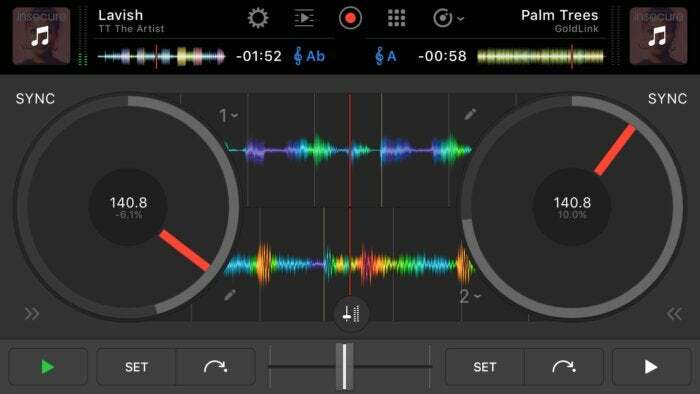 Like Djay 2 for iPhone, Djay Pro features a two-deck turntable interface, Spotify integration, and native support for external MIDI controllers. Djay Pro also relies on the iPhone 7’s haptic feedback for a more realistic sensation when scratching and scrubbing the waveforms, and 3D Touch is also employed so that DJs can set a cue point in the song without taking their finger off the waveform. Haptic feedback is also used for accessibility. In addition to showing beat markers and bars visually in the waveform, this information has been encoded with haptic feedback so that visually-impaired DJs have a better sense of when these markers come up. Djay Pro has also enabled VoiceOver so that DJs can hear a description of the different actions and controls. Furthermore, the new Djay Pro also has a companion watchOS app, so you can DJ remotely. This Apple Watch intergration was designed to be a remote control for performing DJs. The new app makes the most out of improvements in watchOS 3 so that DJs can cue songs from their library, add audio effects, and run Automix mode (which automatically stitches a playlist together), all with low latency so you don’t miss the beat. Djay Pro is on sale now for a special launch price of $5. The app will cost $10 after the introductory sale. You can also purchase additional sound effects packs for $4. And in order to access Spotify’s massive catalog and playlists, you will need a premium Spotify account, which costs $10 a month. You can also access your music purchased via iTunes, but Apple Music subscribers won’t be able to DJ using that catalog as it remains DRM-protected. 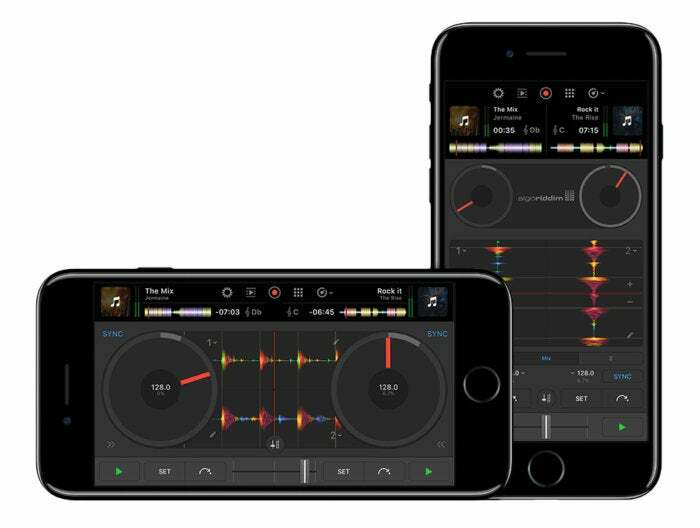 Djay Pro for iPhone joins Algoriddim’s DJ software ecosystem that includes Djay Pro for Mac and iPad, Djay 2 for iOS and Android, and Vjay for iOS. If you’ve purchased Djay Pro for Mac or iPad in the past, you will need to purchase the iPhone app separately because Algoriddim built the new app from scratch. However, if you’ve previously purchased sound packs from Algoriddim software on your Mac or iOS device, you can access them on the new Djay Pro thanks to iCloud sync.